The Horizantes Del Mar project is located directly on the water and consists of three-hundred fifty (350) feet of water frontage. The residential condominiums are Titled, not concession and will be approved for a maximum of thirty-eight (38) residences. Four of the thirty-eight condominiums may be fractionalized into 1/8 shares giving the developer 32 individual interests to sell. The marina has been approved for thirty (30) wet slips accommodating vessels from 50 to approximately 120 in overall length. Horizantes Del Mar will offer luxury bayside residences and marina in the authentic tropical plantation style, reminiscent of the Chiquita banana heyday of the 1930s and 40s. The residential community will have a low impact on the surrounding area with only 38 residential units over 350 feet of water frontage. 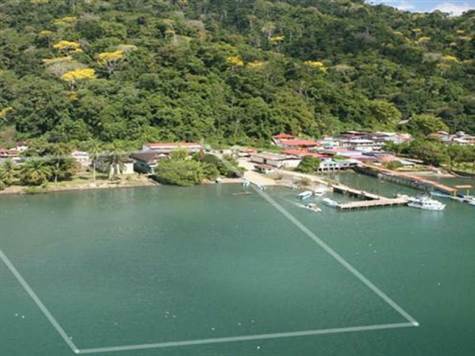 As the southernmost port of entry into Costa Rica, the state-of-the-art marina will provide the first well-sheltered harbor north of the Panama Canal, providing 30 slips, ranging from 50 to 125 feet in length. Horizantes Del Mar yacht club will feature individual wine storage, cigar humidor lockers, a cognac bar, a pool and a fitness center. With a concierge service ready to coordinate excursions, airport transport and other exclusive conveniences, pleasure yachters will be drawn to this charming retreat. Residential Community The community at Horizantes Del Mar will be three buildings, three stories in height, composed of two- and three-bedroom waterfront condominiums surrounded by picturesque views of Costa Ricas native Esquinas Rainforest and towering Talamanca Mountains. The architecture will resemble the historic plantation homes of the wealthy executives of Chiquita Banana. Marina The Horizantes Del Mar Yacht Club will feature a state-of-the-art marina on the countrys Pacific coast with 30 slips, ranging from 50 to 120 feet in length.